At MWC 2019 this week Lenovo has unveiled a range of new family orientated desktop PC systems and ThinkPad laptops. One all-in-one PC unveiled this week is the new IdeaCentre AIO A340. Powered by up to an Intel Core i5-8400T processor with AMD Radeon 530 or integrated graphics, or up to a 7th Generation AMD A9-9425 processor with Radeon R5 graphics. The Lenovo IdeaCentre AIO A340 will be launching throughout the United States in a few months time during April 2019 with prices starting from $500. 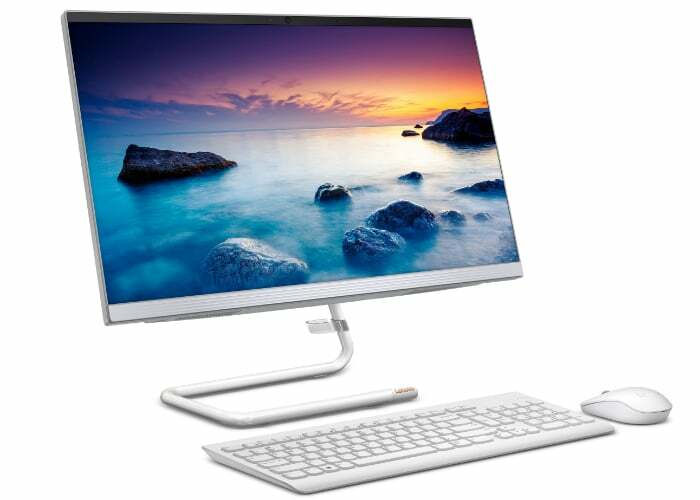 Those of you located in EMEA territories will be able to get your hands on the new all in one desktop a little earlier during March 2019.